Hit It Out of the Park with this Sports Combo! 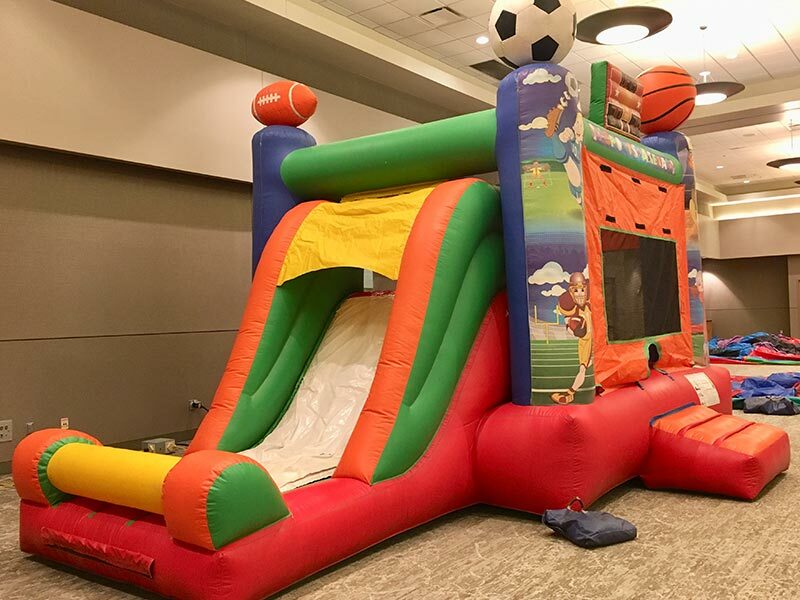 Our Sports combination jump-n-slide is perfect for the sports all star in the house! Enjoy crazy, bouncing, basketball shooting fun in the jumping area! Then make your way up to the top and zoom down the slide that is over 6 feet long! This addition to your party is sure to make your sports star the MVP!